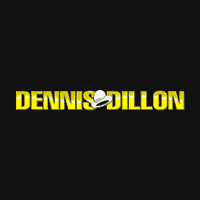 About Dennis Dillon Automotive – New Auto in Boise; GMC & FIAT, KIA, MAZDA, Alfa Romeo, Maserati, & NISSAN. New Auto in Caldwell; Chrysler, Jeep, Dodge and RAM! Dennis Dillon is proud to serve the Boise, Meridian, Eagle, Caldwell, Nampa and surrounding communities with quality GMC & FIAT, KIA & MAZDA, NISSAN, Chrysler, Jeep, Dodge and RAM vehicles! And for all your recreational needs, RV & Powersports! With models like the new Sierra Series, Forte, Optima, Altima, Murano, Chrysler 200, Challenger, Grand Caravan, Wrangler, Cherokee and RAM TRUCK we have something for every taste and need. Come visit us at one of our Boise or Caldwell locations to see our vehicles and take one for a test drive. We also have 6 large PRE-OWNED inventories available at the click of a button! Check out our entire group inventory online now! If you’re looking for a pre-owned car, truck, SUV, crossover, RV, Boat, Snowmobile or ATV in Boise or Caldwell, we can assist you there as well. Visit our pre-owned inventory page to see our large collection, we offer on the spot financing for all of them. Our Boise new and pre-owned car inventory is updated daily. Dennis Dillon is not just your Boise and Caldwell GMC & FIAT, KIA, MAZDA, Alfa Romeo, Maserati, NISSAN, Chrysler, Jeep, Dodge and RAM dealer, we also provide a full line of expert services dedicated to our Idaho customers. From GMC & FIAT, KIA, MAZDA, Alfa Romeo, Maserati, NISSAN, Chrysler, Jeep, Dodge and RAM vehicle repairs performed by expert mechanics, to OEM GMC & FIAT, KIA, MAZDA, Alfa Romeo, Maserati, NISSAN, Chrysler, Jeep, Dodge and RAM auto parts and a full line of Accessories to Automotive, RV, Marine and Motor Sports vehicle financing and protection! Dennis Dillon RV & Powersports is the smart choice for all your transportation and recreation needs. If you’re looking for a great boat dealer in Boise, ID, DDRV.com is your one stop shop! Come in and say hi! Check below for locations or contact us by phone!